NCIX has kindly put together a bundle including most of the parts used in this guide, as built on our recent live stream. The bundle should be available through the June 25, 2016 on both NCIX Canada and NCIX US. We're using the Gigabyte GA-H110M-A as our motherboard. This motherboard supports up to 32GB of DDR4 RAM, four SATA 6 GB/s devices, and it has an extra DIMM slot if we ever want to increase our total memory. We're using a parametric filter to choose the best priced 1x8GB kit of memory within Intel's recommended specifications while leaving an open DIMM slot for a potential memory increase down the road. Here, we're prioritizing the future expandability of using 1x8GB stick of RAM over the limited benefit dual channel would provide in gaming via 2x4GB sticks. Additionally, we're using a parametric filter to select the best priced 2TB 7200 RPM mechanical hard drive. For a similar price, a 240-256GB SSD could be swapped out. The Corsair Carbide SPEC-M2 is a mini tower case that can fit all of our components. It offers decent cable management, which can sometimes be a problem at our budget, and there's room to expand with hard drives or a solid state drive. It also has 1 front panel USB 3.0 port and 1 front panel USB 2.0 port. This mini tower case also won't take up as much space as a mid tower. There is also a deal right now for the SPEC-M2 where you can receive a free case fan with your purchase. At this budget level, case fans sometimes can be sparse, so the extra fan is helpful. For the PSU, we're using a parametric selection of a few well-reviewed budget semi-modular units, which are all rated for good efficiency and can provide plenty of power for this build. im just asking here but according to sites like newegg and amazon this board works with ram at a speed of 2133, the ram you posted is clocked at 2400mhz so my question is will the board even be able to go past post with that ram? The RAM would automatically down-clock to 2133mhz. You may be able to achieve higher speeds through either XMP or manual RAM overclocking in BIOS. Although H110 boards tend to now allow it. This processor has a considerable performance increase with faster RAM, maybe would be worth investing in a mobo with the Z170, even tough is more expensive and you can't overclock this processor you'll have a build easily upgradable in the future. Where'd you get that info? I've seen that memory speed only makes a few FPS difference in games. Huh. Other than their benchmarks in Ryse, their results were in-line with what I had heard (which was a <10 FPS difference in most games). The Ryse benchmarks is still interesting, though. I think it's worth pointing out that even at the lower memory speed, games on the i3 were still at a very playable FPS (given a powerful GPU). I think the extra $70 for the Z170 board and higher memory speed may not be worth it for a budget build like this one, but it would be worth the cost in other builds. RAM speed directly influences CPU performance, and CPU performance can influence GPU usage. When the CPU is the bottleneck, then lower CPU performance means lower GPU usage. Higher CPU performance means higher GPU usage. Logically speaking, faster RAM means greater GPU usage, which means higher FPS. It's not going to create a miracle, of course. The CPU is still the bottleneck, and only upgrading it is going to change that. However, you can get quite a bit more out of it than before. When we're talking about low-end gaming, then 7 FPS is a lot more meaningful when we're sub-refresh rate, and can mean the difference between 48 FPS and 55 FPS. Another reason to consider getting 2400MHz RAM is because it strangely costs nearly the same as 2133MHz RAM, sometimes even less. I'm not sure who comes up with these prices, but you might actually get a better deal with 2400MHz RAM versus 2133MHz. Higher quality RAM for the same price is great, I guess! This is true, but the issue isn't the RAM's price, but the motherboard's price. non-z170 motherboards will downclock memory modules to 2133, and can only be overclocked on Z170 boards. Upgrading to the cheapest Z170 board is a $30 price hike. This might not be an issue depending on someone's budget, but wouldn't be feasible if someone was pinching every penny. The H110 board is entry-level, and is therefore appropriate for an "entry level gaming" build guide. Also, most FPS gains on memory tend to show at 2666 or 3000-speed DDR4, not 2400. In either case, dual channel probably makes as big of a difference (without major price hikes) in performance as memory clock speed. upgraded my ram from 2133 to 2666 really makes a huge difference ! Right so I'm fairly new to the game of PC building (last one I did was 15+ years ago) so need a bit of advice. I've made a part list based off of this list but need that extra bit of help before I take the plunge. Pretty much I want a NAS but also a PC able to handle most games (right now all I have is a laptop) and realised I could kill 2 birds with 1 stone. Thoughts? Yeah I'd be adding more SSDs later on for a true RAID config. Couple of colleagues advised to get a 250gb SSD for OS and games, and a 1-2TB for the media server. I'm trying to eliminate the need to buy a dedicated NAS as they're as expensive as a PC anyway. Also, no need to have it on all the time, only when accessing media which is occasionally. It's how we work it now, using my laptop as a Plex server. Just an aside.. why do you capitalize every word? Agreed. It's okay if you don't capitalized like it, or, and, etc. On the Hitachi Deskstar the type is displayed as SSD.Wierd.Otherwise,pretty nice build (guide)! I can explain that. The parametric filter checks for both 7200RPM HDDs and SSDs, and both happen to fall under the same filter category. Oh well,minor detail.Good buildguide non the less. Noice build guide. Can you tell me if my build idea is any good and any recommendations you have too improve it? The GQ is the best price/value PSU imo. The difference is non-percievable between the GQ and the G2. The difference is non-percievable between the GQ and the G2. The difference you see is non perceivable, but the ripple, voltage regulation, warranty, and even noise is noticeable. The G2 still holds the crown for the best price/ performance ratio. gpu- with the money you save from the psu, spend the extra 20 bones and upgrade your GPU to the 380x. it is significantly better and yes, its worth the price. cooler- I noticed you did not have a cooler selected. I would highly recommend getting one. any low profile aftermarket air cooler will do the trick. see how your stock one works first. You've got a point, but the 750W psu will leave plenty of options when it comes to upgrading. This build should be fine in playing all the latest games at mostly ultra settings at around 50 FPS. btw do i need a wired network adapter or the motherboard come with it? I took off the monitor you had because it wasn't the actual monitor, just the control for the monitor. How is that PSU? I've never heard of it, but it looks decent enough. Which one? The Rosewill G550? The 750W unit scored an 8.1 on JohnnyGuru. That doesn't mean the 550W unit is necessarily good, but it's typically a good indicator of quality, especially if the units were launched together. That's good, I wasn't sure as rosewill isn't that well known. Rosewill is the NewEgg house brand. NewEgg occasionally sponsors builds here. You never actually specify a budget in the build. Although the budget will vary from person to person (and people shouldn't use build guides part-for-part anyways), I would still like to see an SSD in the parts list alongside the hard drive. That way, new builders can choose to remove it if they need to save money, and will be more explicitly aware of the option should they be able to afford it. Your parametric selection for the PSU is good overall, but I'm a little surprised you didn't include the EVGA GQ on the list. I agree with your selection of the i3-6100, but your reasoning behind it refers entirely to workloads other than gaming. This doesn't help new builders when they're looking for part justifications based off of the primary function of this build - to game. Other than that, it's a +1 from me. P.S. I like the new picture. It's the perfect personality for this site. I talk about the option to get an SSD in the write-up. I agree that your suggestion here could be helpful. I think there are a couple of ways to handle the option of an SSD, none of which are right or wrong. I just happened to go this route. I like the GQ line a lot (I'm typing from a PC with one now). Unfortunately, it's a liiiiittle on the long side. Enough to exclude a number of cases. People get confused about parts not showing up, and I wanted to try to avoid that happening in a guide. You're right about the reasoning I wrote for the 6100. I could be more clear and talk about gaming a little more. I'll revisit that, thank you. And thanks re:picture! It's my favorite film. Just out of the blue...If I buy the AMD A10-7870K 3.9GHz Quad-Core Processor, would i need a graphics card? Running games like League of Legends, CS:GO, Team Fortress 2, and unturned. Also, which build is recommended for those games? Sorry im asking alot, im really new to building a pc. That i3 build would be better, it would run those games buttery smooth, and it seems it's only $50 more. The MoBo on the A10-787K doesn't have a price listed, so they would likely be about the same price. Please, take it to the forums, that is where you'll get the best advice. I don't know about unturned, but all of the other games you listed will run perfectly on an apu, but the best choice depends on your long term goals and financial state. The build itself could be a bit cheaper either way, but you'll have to take it to the forums, it is hard to give good help in the middle of a bunch of comments. Hey,I've been thinking of doing a somewhat similar build,except I wanted to use the iGPU on the i3 because it's enough for what I plan to do.Here's the build. 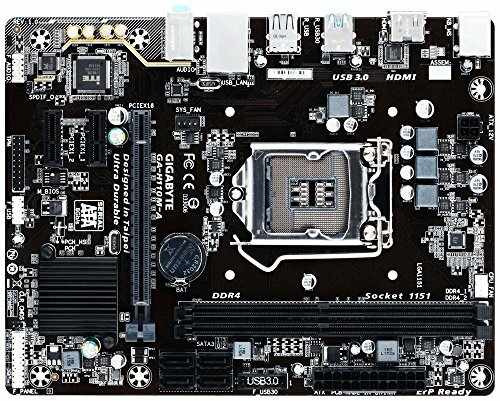 Now,someone told me that I'd be dumb to buy an i3 and a $150 mobo,but I wanna upgrade and overclock at some point.He told me that I should get an i5 and a really cheap motherboard,like this one or this one.Is that a good option?Which features do I lose out on from the Killer Fatal1ty except overclocking?Which one would YOU do? this would be better asked in the motherboards section of the forums, it is hard to give propper advice in the middle of a bunch of comments. Why buy two RAM sticks seperately? Dude that post was ancient.I changed my part list completely and bought different parts. Anyway,the sticks are the same thing,and there wasn't a 2x4 option so I went with that. You should use the forums for this instead of here. Because you went to a popular guide asking specifically for advice on a build unrelated to the guide. Well, since so many have asked and have been helped, but please, which forum would you recommend? The GS 550/650 is still 5 years. The 850/1050 is 7. The noise on the GS and GQ is the same. I meant GS and G2. My bad. Would changing the GPU to http://pcpartpicker.com/part/sapphire-video-card-100362sr work? $20 more for a 290x vs 380x seems worth it for the price in this build. Wish I could see some benchmarks on this complete build.. Or completed pictures. My only complaint. Its nice, i like it, and I'm probably goign to go for it because it's a little cheaper and better mobo than what I have in mind. Hey, thanks for the feedback. Thing is, you're not going to see a mechanical drive come close to saturating 3Gb/s I/O. I'll have to look around, but you should be able to get a comparable z170 for ~80-90. I'm not sure if it's still possible, but I believe you were able to bclk overclock many of these non-k CPUs for a while. I guess it would depend on both of those being true, but if they are, it might be worthwhile to go for the z170 over the h110. However, even then, it still might be better to just dump the cash into a better GPU. It's been years since I've built a PC. I think the last PC I built was in 2006, but I still try and follow the trends. My little cousin's finally old enough to build a PC and asked me to lend him a hand. This is a great help as a baseline to build upon for his rig. Thanks a bunch! http://pcpartpicker.com/p/y6Fv8d Is this a good build? So long as the CPU is the same generation and fits the same socket, so it will depend on which i5. What would your intended uses for the computer be? Is the video card necessary for an everyday monitor? The cpu has integrated Intel HD Graphics 530. For basic daily tasks like web browsing and word processing? No. You're right that the CPU's integrated graphics in combination with the motherboard would provide video out. Im not that smart with the techy stuff about computers and there parts so I was wondering If you don't have an operating system can you download one or do you have to put it into your build. I am confused as to why none of these builds have an operating system. Thank you in advance. You could add windows (roughly 90 dollars) but most people wont add that because they have means of getting it or already have it. you could also run a free distro such as ubuntu, mint, steam os, debian, etc. Mainly though people just use the part-picker for their hardware, hence the lack of an os or any other software. 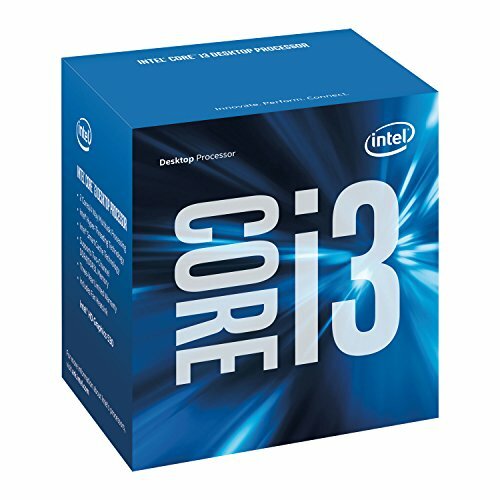 I'm new to building a computer. If I build this PC and want to upgrade to like a Great Gaming Build, that would be no problem right? If you mean like replacing parts in your pc yes you can swap out parts but you have to make sure they are compatable with the case and other parts your replacing or currently have. Can somebody please tell me if this is a good build because im kinda new to that type of stuff, ive never built a pc before. Please, take it to the forums, you will get better help there. Thanks a lot mate, I appreciate the suggestion. Hello, I was wondering how much fps I would get if I used this build to play CS:GO at 1920x1080p on max settings and then also 1024x768 on all low settings? It's just cheaper. The 380X is barely better than the 380. It's cheaper, and you get a better mobo/power supply. That's all fine and dandy, but can it run minecraft on max settings? $597 without monitor and OS? I don't get why people consider this a computer build. Unless it has an operating system it isn't even really a usable computer. So bare bones this is a $700 machine and you still need a monitor. How many fps on cs go? I would also personally spend more on a mobo with a little better onboard features and preferably a VRM heatsink in hopes of a future upgrade to a Core i7-6700K class CPU. So I'm interested in using this parts list for my first gaming PC. I mostly play games such as Garry's Mod, American Truck Simulator, and I'd like to start with some GTA V PC but I can't run it. Can someone tell me if this would be good for those types of games? Such as what settings I would be able to play at with fair FPS. I agree with rolfejc here. Could this run games like CS:GO and Overwatch well? How good is a dual core compared to a quad core? Im new to builds and ive been looking around for a cheap one. Could this run fallout 4 or dark souls 3? Ive been all over this site and made a few different builds from intel to amd but i just dont really know what to do need so helpful info. Never go off brand alone. Hm, heard that most of them were bombs. But you have proven me quite wrong. I'm new to this, so please help. If I were to upgrade the cpu to Intel i5 2300, would I still need gpu? and would this be recommended? Is a fan necessary? That would be a downgrade. The 2300 uses the Sandy Bridge architecture, which is pretty ancient by now. Even though it's an i5, the 6100 will still beat it out in terms of performance. Thanks. What fan would be compatible, and what would you recommend? Super new here, thinking of building my very first computer. Because I can't get an ethernet cable all the way to my room I would need to use Wi-Fi. However, I've read somewhere that I would need to get a card to do so. Could that be confirmed? It depends on whether the motherboard has onboard WiFi or not. If it doesn't, you'd need an expansion card or other WiFi solution added to your build. You may also want to look into powerline ethernet adapters. I honestly would just use it to put my OS in there and the really slow games that take forever to load up. That's usually only a couple of games but you might be right. Nice build! Thinking of putting this together for my son. He uses a 1600x900 monitor, and isn't looking to upgrade that right now. Could any of you experts recommend me a GPU that would run today's games at ultra or close, at 1600x900? I'm assuming that the card spec'd in the above build is overkill for that resolution. 2 ram sticks would be better I think. What about dual channel with 2 sticks?? Does that do anything? I think it would be better if you change the HDD to a 1TB one and the PSU to the seasonic S1211 to be able to add in a cheap SSD as a boot drive.Also you could downgrade the GPU to a powercolor R9 380 to get a better mobo like the MSI Z170-A PRO( which can be bought for $80) or an H170 board for better upgradibility and features. So can this kind of build or something like it can run games like Overwatch, CS:GO, Skyrim? Yep! Although what resolution, frame rate, and graphics settings you want matters too. Is there anything you fellas would change on this? I do not know much about computers and this is in my price range of $500-600. I plan on playing games like arma 3, dayz, rust, ect. Wait a few hours and you should see some changes in OP. Thanks man, means a lot cause i dont know anything about pcs really. I purchased this list on father's day on a bit of a whim, and I am very, very pleased with the results. I would have never had the guts to build a rig with a $50 motherboard, but the performance of my completed PC speaks for itself. This is a great list, thank you so much ThoughtA! ps. This motherboard had problems with Windows 7 so I bit the bullet and went with Windows 10. I currently play quite a bit of Heroes of the Storm. I haven't tried any newer FPS on it, but it lasers through HotS on high settings. I think you will be pleased with the results. What list should I have built? Hey dude, just wanted to ask if I would be able to automatically connect to the internet with this build, or would I need to buy a seperate wifi card? Awesome, thanks for telling me! So where is the OS listed? I see this all the time even on some of the big time YT builders they pretend that an OS costs nothing or is an outside expense. Nah...it's part of a computer build just like a case or a HD. I guess you could turn it on and stare at a BIOS screen. It's an "outside" expense in a similar way to a monitor, keyboard, or mouse. Everyone is going to need one; preferences and priorities vary so much that it can be best not to recommend one thing to a large number of people; everyone has different access to different OSes (student access at schools, transferring a retail key from a previous PC); and it's just plain outside the scope of a guide focused on choosing hardware for a PC. The guide isn't here to talk about acquiring OSes. That would distract from the purpose of it - choosing hardware. It's still a part and expense of a build. Pretty simple to "move" your monitor/mouse/keyboard maybe even a case to a new build if you so desire and save money there, but literately impossible to do so with a version of Windows installed and activated on your old computer. LG won't care when I move my 43 inch HD TV to a new build nor will Logitech but Microsoft will and won't activate my already installed OS on a new build,therefore it's an expense added in to my build. I have Win 10 as an expense in my build list not because I want to but because I have too. Years ago I had a mobo go south and installed a new one--the ONLY change in that four year old computer and it about took an act of Congress and a couple of phone calls to activate my legal Windows XP once again. Regardless, it's outside the scope of this guide. The scope of this guide is choosing hardware. Period. Clock speed and core count aren't all that matter. IPC (Instructions Per Cycle), and some things around that, is just as important. 3.7GHz on one core the i3-6100 will perform significantly better than 3.7GHz on the 860K. I'd recommend you look up some benchmarks comparing the two, or their bigger brothers the i3-6300 and Athlon 880K, which should show similar relative performance. Why go with a two core Intel CPU when you can get a six core AMD CPU for the same price? The fx 6300 doesn't perform as well as the i3 6100, although many get caught by the "more cores = better" bait. What about the new games that are taking advantage of the 8 cores in the PS4 and Xbox 1? it's a ballancing act between how many cores you can use and how powerful you need those cores to be. Sone things can use more cores than you can shove onto a motherboard, for these tasks an 8350 would be excelant. Other things can only use one core and need a powerful core to do it's job correctly. Some things can use 3 or 4 or five. you have to know what you can use to make a proper choice. If you're talking just IPC, then yes, you are correct. But the FX is usually a little cheaper and is overclockable, and can dedicate a core to each of up to 6 threads, as opposed to virtually as the i3 does. So if you want to game and stream on a budget or have other stuff running in the background, I might go FX-6300 (especially since most boards that can accommodate a 6300 can also go up to a 8320 or 8350). Why would you go for a part with worst performance? Actually, we built and benchmarked this build, and it ran quite well. I'd be interested to see some benchmarks showing this CPU bottlenecking you're referring to, though. Thanks for the link. You're right that there will indeed be games where the 6100 holds things back. You'll see here that, again, there is less performance with a 6100 than a modern i5. However, You'll also see in those benches that it's getting the job done (in those games). When you're at this budget, "gets the job done" is the focus. By the time you've dropped the GPU down enough to purchase an i5, you'll be unbalanced in the other direction far too much. Of course, with differences in regional prices, this can potentially change. The i3-6100 comes with a cooler. Dual channel memory has a negligible benefit to gaming, and leaving a DIMM slot open allows for further memory expansion down the road. No essential parts are left out. This is how people get misinformation. This. Right. Here.